Nordic Entertainment Group – the renamed and soon-to-be split-off broadcasting arm of Modern Times Group (MTG) – has named its new management team under CEO Anders Jensen. The new team will be effective as of July 1, following the split between the new MTG, which will focus on eSports and digital video content under current group CEO Jørgen Madsen Lindemann, and Nordic Entertaiment Group, which will take over the current Nordic Entertainment and MTG Studios business segments, including the Viasat pay TV operations, the Viaplay and Viafree streaming services, MTG’s free-TV channels and radio stations, 30 production companies and Splay Networks’ social video and influencer networks. 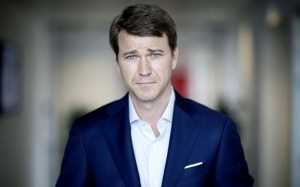 Current CEO of MTG Denmark Kim Poder will become EVP and group chief commercial officer and CEO, Denmark for Nordic Entertainment Group, responsible for driving commercial strategy and execution. Matthew Hooper, currently MTG EVP and group head of corporate communications, becomes EVP, group head of corporate affairs and CEO, UK with immediate effect, responsible for the management of MTG’s and subsequently Nordic Entertainment Group’s UK based operations. MTG chief strategy officer Gabriel Catrina will be Nordic Entertainment Group’s EVP, group chief strategy officer and head of M&A, while Jakob Mejlhede, MTG EVP and head of programming and content development, will become the company’s EVP and group head of content. Morten Mogensen will remain as CEO of production outfit Nice Entertainment Group, while Alexander Bastin remains head of streaming services Viaplay and Viafree. MTG SVP and head of technology for Viaplay and Viafree Kaj af Kleen meanwhile becomes SVP and group CTO and product officer for Nordic Entertainment as a whole. MTG Denmark head of sport Kim Mikkelsen will become SVP and group head of sport. Peter Nørrelund, current MTG Sport CEO, will remain with the new Modern Times Group but will serve as an advisor to Jensen at the same time. At the country level, current MTG Norway CEO Morten Aass becomes SVP and CEO, Norway for Nordic Entertainment Group while Viasat Finland CEO Mathias Norback becomes SVP, CEO, Finland. Current MTG Sweden chief Filippa Wallestam has already been named as SVP and CEO of Nordic Entertainment Group Sweden.